The Closing the Gap team presented at four conferences focusing on issues of labour and employment. The international conference hosted by the Interuniversity Research Centre on Globalization and Work (CRIMT) took place on May 21 to May 23, 2015 in Montreal, and the Canadian Association for Work and Labour Studies (CAWLS) conference was held on June 4-5, 2015 at the University of Ottawa, Ottawa. On June 1-13, 2015, the International Labour Organization hosted the 104th session of its annual conference in Geneva, Switzerland. Organised by the Hugo Sinzheimer Institute (HSI), the Labour Law Research Network was another opportunity to introduce our project. The conference was held in Amsterdam, Netherlands on June 25-27, 2015. At all conferences, our researchers presented preliminary findings of four studies currently being conducted by the Closing the Gap project. Prof. Leah Vosko, project co-lead, reported on the study “Making and Resolving Monetary Employment Standards Complaints: the Case of Ontario” which that looks at the profile of employment standards complaints workers filed to the Ministry of Labour. The study shows the most common claims include complaints of unpaid wages, termination pay and vacation play. Claims are concentrated in specific industries and among smaller employers. 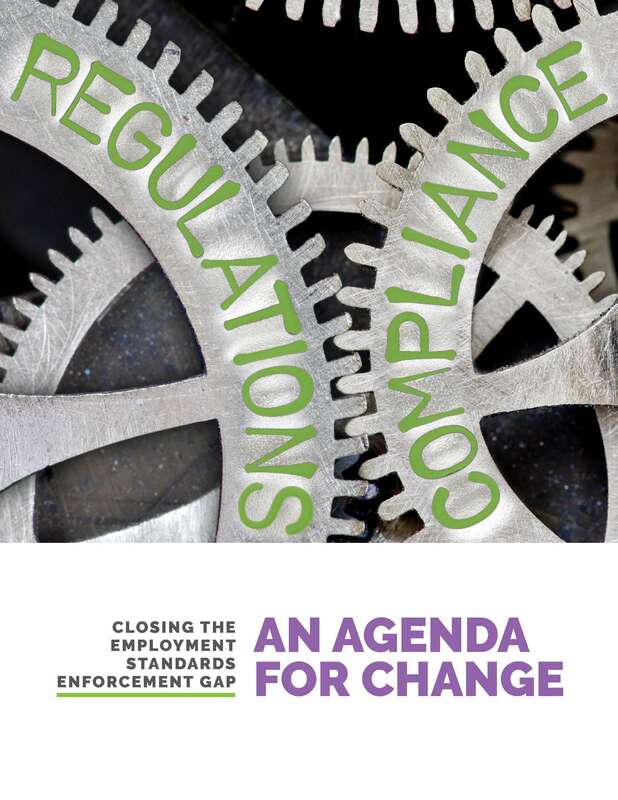 Another study, titled “Employment Standards Avoidance and the Overtime Pay Exemption”, was co-presented by Mark Thomas, professor of sociology at York University and Osgoode Hall Law School Professor Eric Tucker. The study points to a complex and problematic system of exemptions that excludes workers from accessing protections. For example, it found that workers who are not entitled to overtime pay are more likely to work excessive overtime hours, highlighting the detrimental impact that the exemption has on workers beyond lost income including their health. John Grundy, postdoctoral scholar at Western University and Ryerson professor Andrea Noack presented preliminary findings from the study titled “ Charting Outcomes: Workers Uneven Resort to Employment Standards Protections”. Based on an analysis of the Ministry of Labour’s administrative data, the study reveals previously unpublished data on the outcomes of employment standards claims, such as settlements and compliance orders from the 2007-2008 to 2012-2013 fiscal years. Elliot Siemiatyski, post-doctoral fellow with the Closing the Gap and Rebecca Hall, a doctoral student and research assistant with the project co-presented a paper titled “Targeting Vulnerable Workers: A Shift from Neoliberal Governance?” The paper analyzes the discourse of “vulnerable workers” in government policy over time and discusses how this framework contributes to the emphasis on education and compliance in current enforcement and inspection policy in Ontario.